In recent years the City of Vancouver’s department of Parks, Recreation, and Culture has presented the Vancouver City Bird competition, wherein the public is asked to select a favourite amongst various feathered candidates. The competition seeks to raise awareness about the importance of birds in Vancouver, including endangered species that were once common locally, and to promote the city’s Bird Strategy. Past winners include the Black-capped Chikadee and the Northwester Crow. There are four contenders for 2016: the Barn Owl, the Barn Swallow, the Peregrine Falcon, and the Western Grebe. While the contest closes tomorrow (May 9th, 2015), I humbly advocate for a late entry: the Cooper’s Hawk. 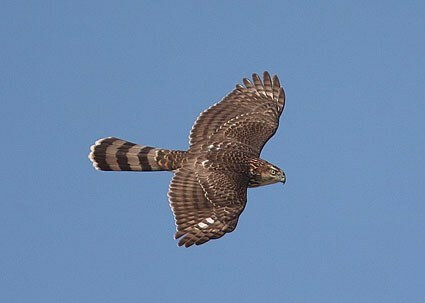 While a lowly common woodland hawk found in Mexico, the United States and southern Canada, a local representative enjoys a particular distinction: a Cooper’s hawk in Langley has been designated the most polluted bird on the planet, with a contamination level a whopping 105 times above average. I propose that the selection of the Cooper’s Hawk would not only support the laudable goals of the City Bird Competition, but also appeal to that Vancouver desire to be “the most,” at both ends of the scale.